The Pose Begins When You Want To Leave It ! Yes, the pose begins when you want to leave it. We forget that Yoga asana practice is to rewire us to make us stronger, more resilient – cultivating equanimity so when we step off that mat, we are empathetic, compassionate but at the same time, resilient to the core. For me, it’s more about increasing my flexibility so we can roll with whatever comes our way with more … GRACE. So not hardening or becoming rigid is the key. Still remaining pliable and receptive – How is that possible ? 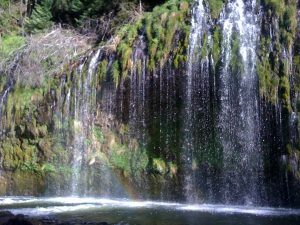 To be fluid – liquidy and crystalline … going with the flow …thawing the ice, defrost into flowing spring water; bubbling at the brooks … traveling the winding sometimes treacherous sometimes beautiful routes to … the ocean. To our original source – the vast expansive mysterious ocean that reflects the sky, the universe. 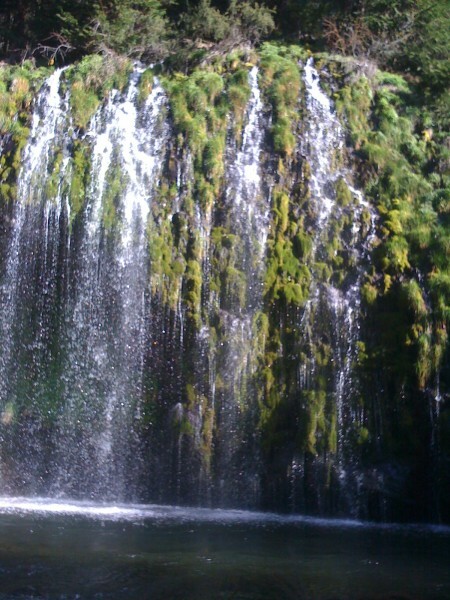 Mossbrae Falls … now in private hands? Too beautiful to not share. 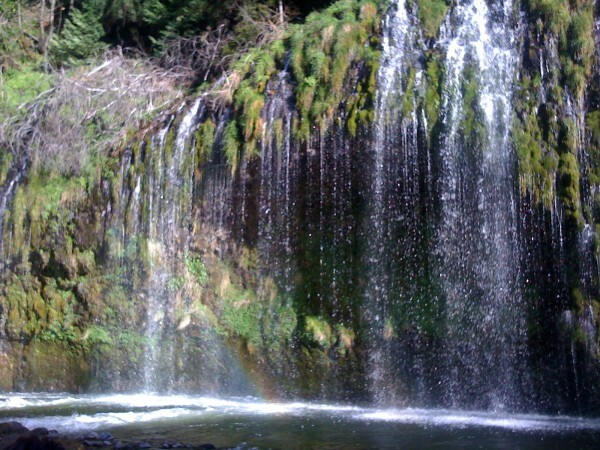 These photos did not capture it but there are rainbows dancing in the waterfalls … breathtaking not because it’s grand but rather, breathtaking because it’s so delicate … silky lacey water falls. Thought to introduce some of the items (loots:) I brought back from the mountain: These salted plums have aged for over 10 years !!! A GEM A FIND ! 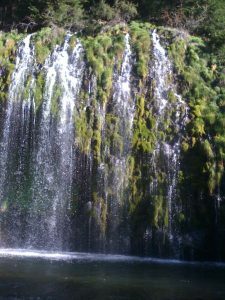 They were fermented and preserved by the original owners of Ume/Plum orchard in Chico. That Kazuko-san was at this Mt. 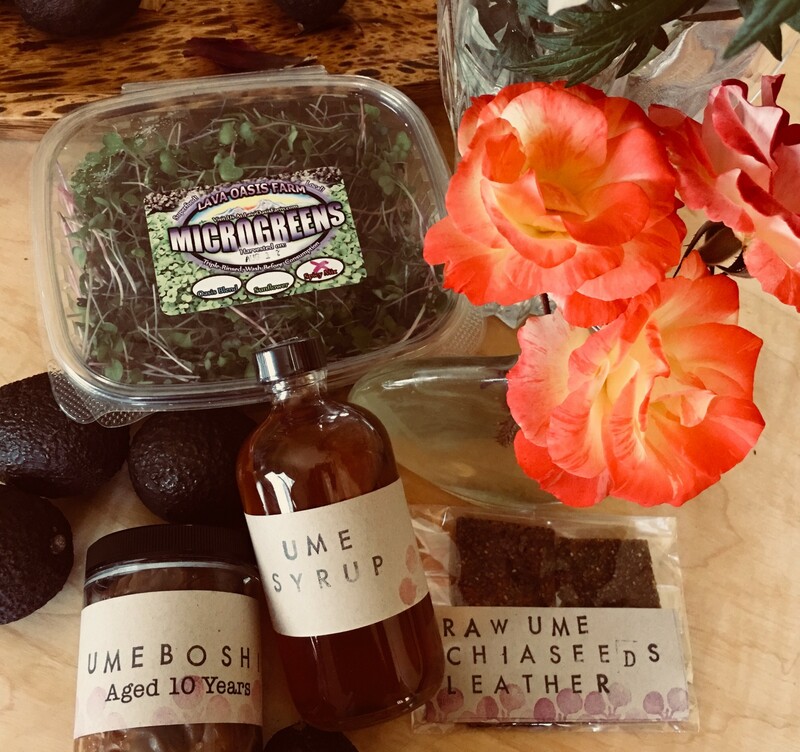 Shasta concert and her protege selling these precious jars of umeboshi along with other new products accompanying the original owner of Mume Farm – what a legend – Kazuko Yamazaki. This amazing petite lady, Kazuko moved to Orland, California in1968 from Japan with her husband, Jyunsei. Together over time, they planted and cared for 450 ume plum trees. 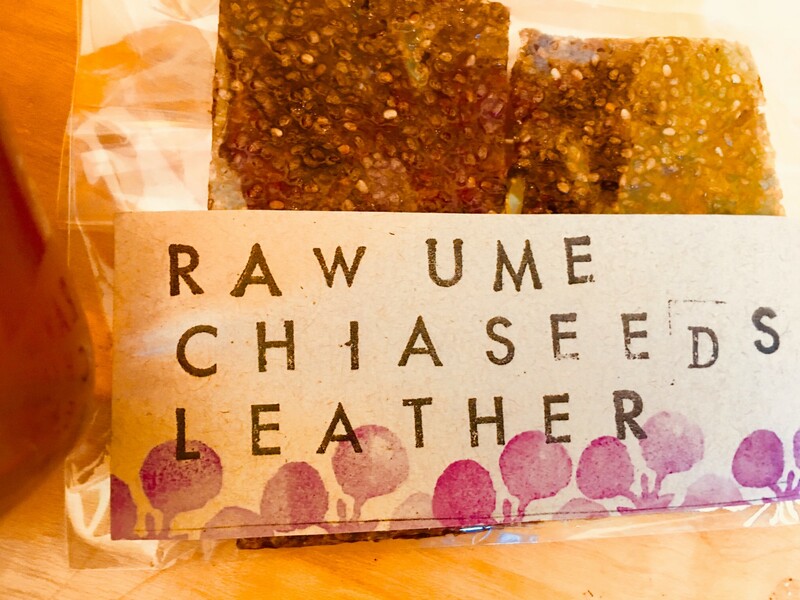 Working hard, they succeeded in making umeboshi plums in the U.S. Umeboshi is a national soul food in Japan, handed down generations and I can confidently state that a stash of umeboshi is almost always in the pantry of all Japanese kitchens. It’s indispensable part of Japanese diet especially in the medicinal Shojin (buddhist monk’s temple cuisine) foods. From the ancient times, these plums were heralded for having medicinal benefits – aiding digestion and elimination; anti-nausea and hangovers; even considered anti-aging … Read This. Their umeboshi plums are authentic, made according to traditional methods. Traditional in that they grew their own ume trees organically, hand picked the harvest, plums were sun dried and bathed under Californian sun. Remaining true to the recipes passed down for generations, they then lovingly preserved the sun dried plums with pure sea salt and preserved with sea salt lined with organic shiso leaves … the result ? 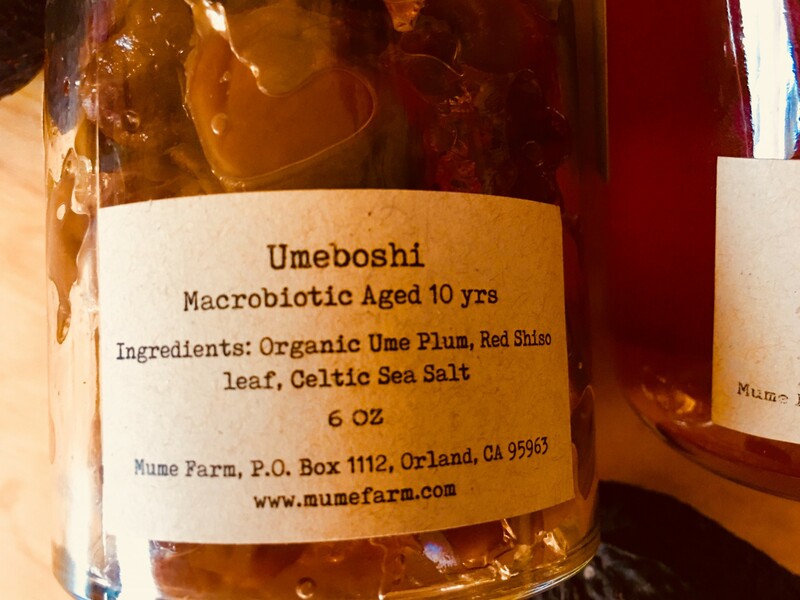 It’s umeboshi packed full of ume power nutrients – it’s fermented & naturally medicinal !